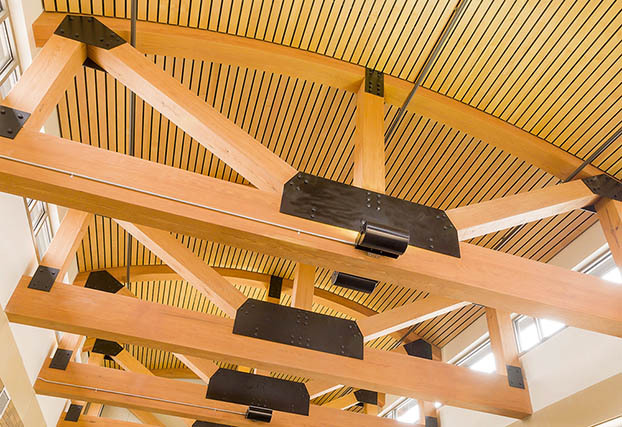 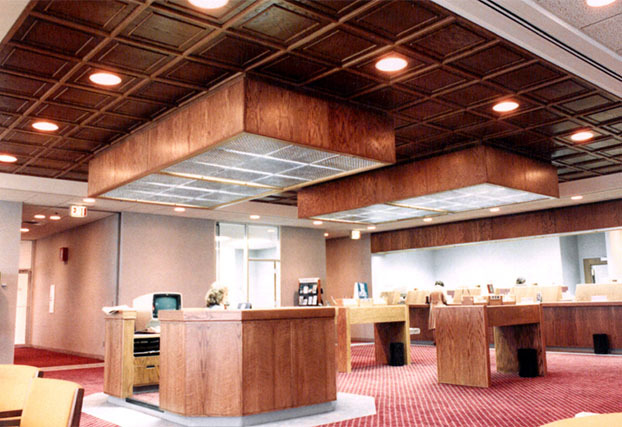 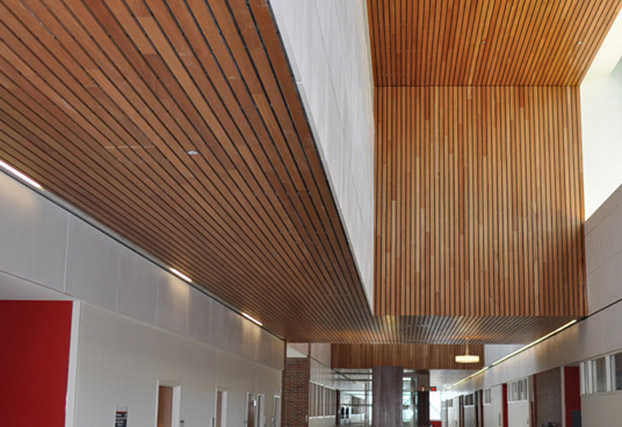 Architectural Surfaces, Inc. offers a wide range of solid wood and real wood veneer ceiling and wall systems. 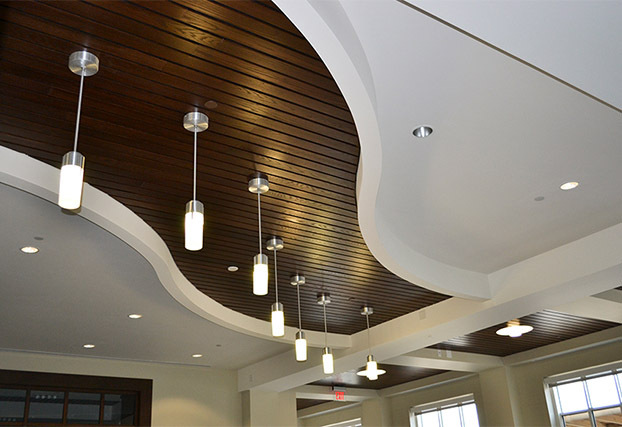 Introduce the classic beauty and charm of authentic wood to your next project. 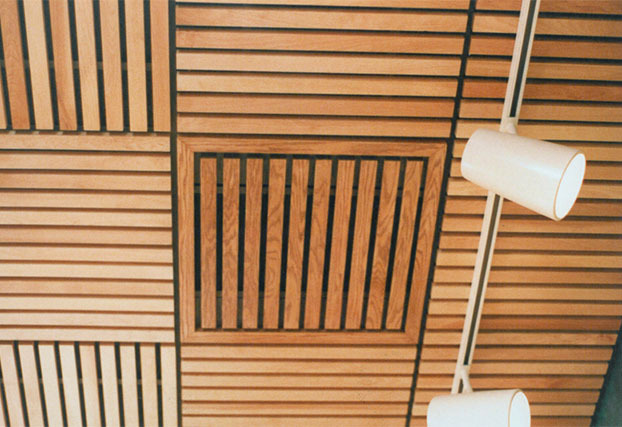 Linear, grill, open cell, and coffer systems are available in all wood species. 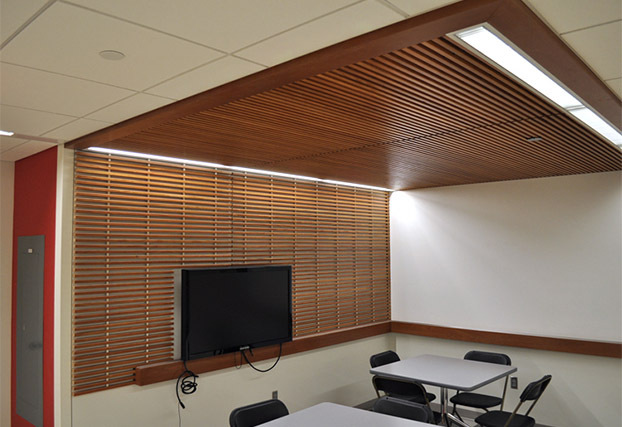 Affordable, high quality millwork with complete accessibility and easy installation. 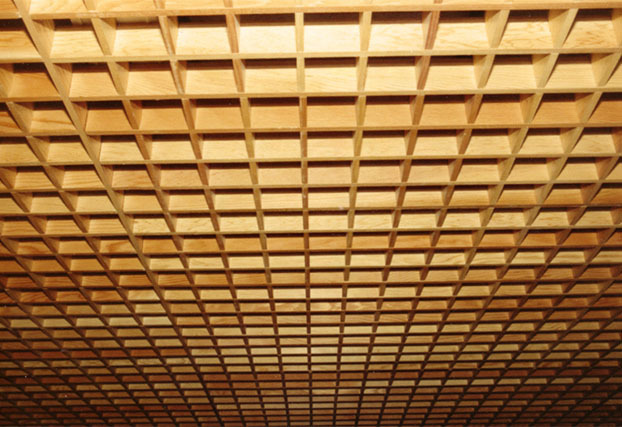 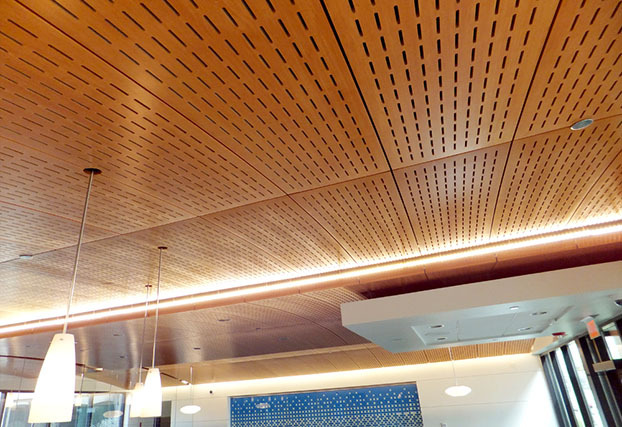 Alumiline, Silk Metal, Microperf, Linwood, Woodgrille, Woodcube, Old World, New World, Selectwood, Decorative Grid Cover, False Beam, Acoustical Backer. 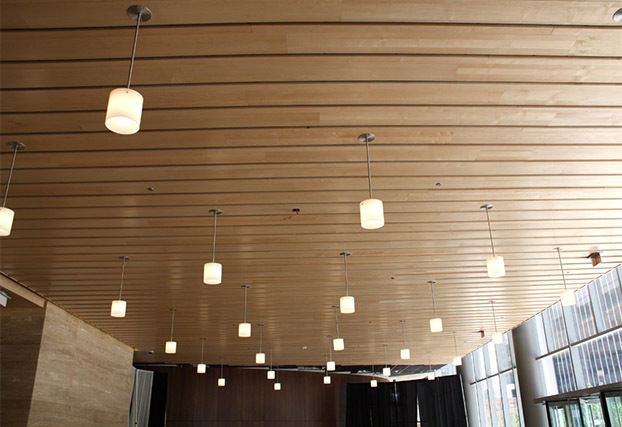 Applications: Ceilings, Walls, Wood and Metal Finishes, Acoustical, Accessories. 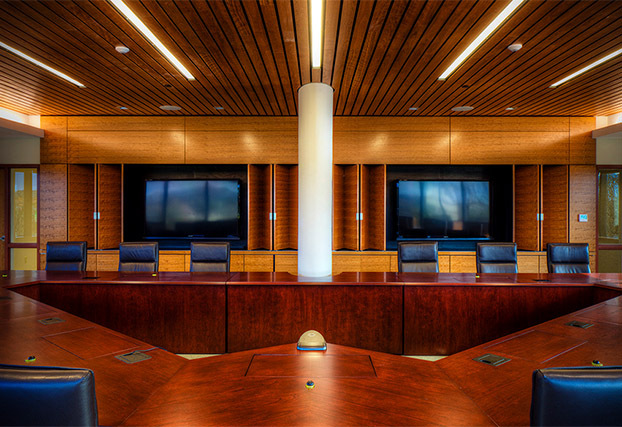 LEED accredited staff is available to help guide you through all phases of your project. 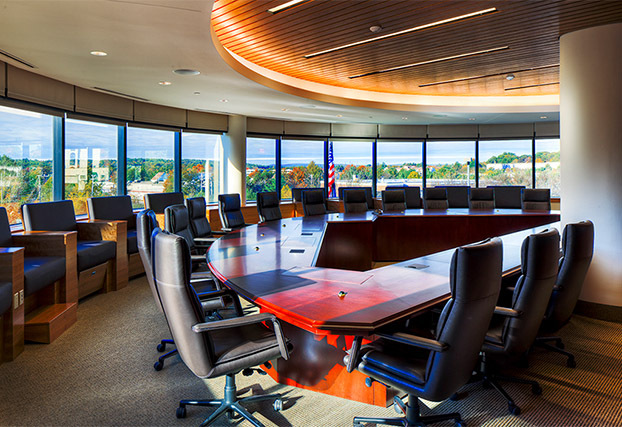 Upper midwest location allows regional points for products in this area. 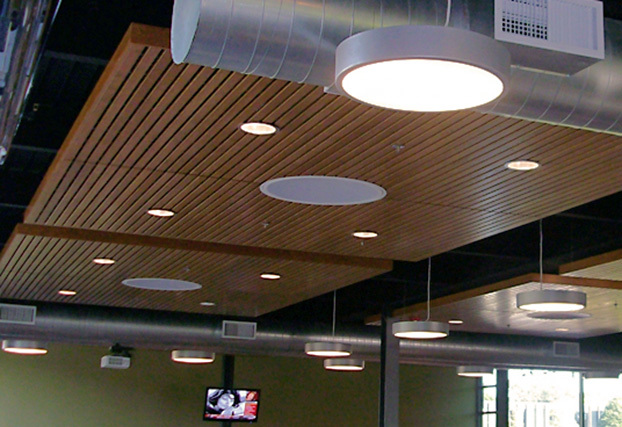 Acoustical backer is available with recycled content.